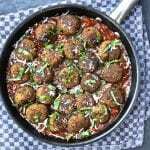 Please do not write this recipe off as a simple eggplant dish stuffed with ground meat because it’s so much more. 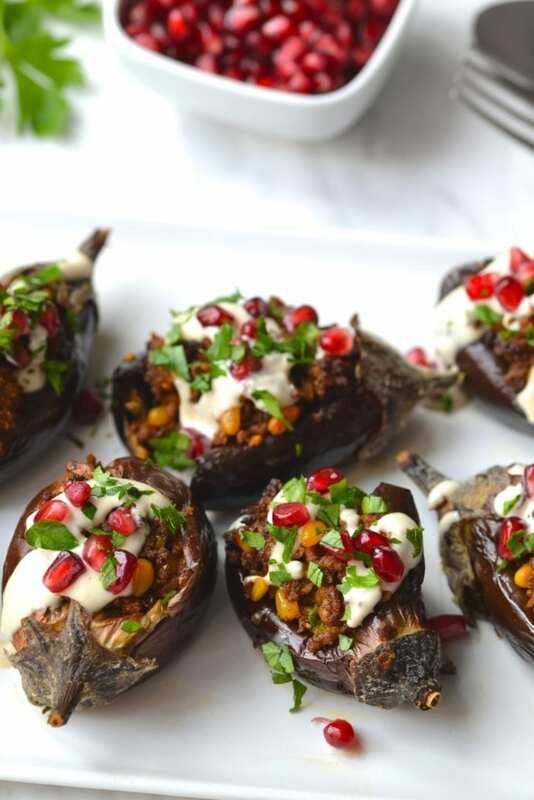 The meat is rich in flavour and mixed with pistachios and pine nuts for added texture and then stuffed inside roasted eggplant which are topped with a lemon tahini sauce and pomegranate seeds for a refreshing burst of flavour. 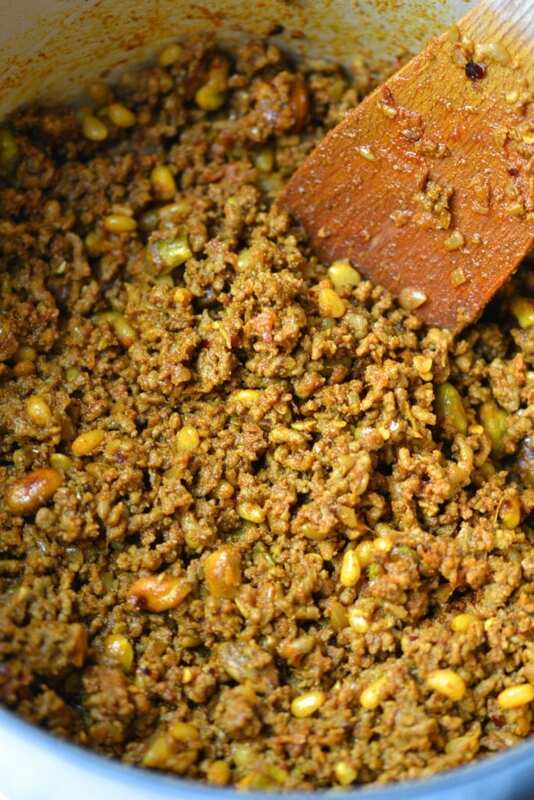 I used a combination of both ground lamb and beef, you could use only one or the other, but I think with both, the mince has a real depth of flavour. 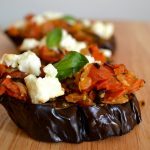 This recipe makes a large amount of meat, more then you may need to stuff the eggplant, but it freezes really well and is also great tossed into a salad, so there is no need to let any of it go to waste. 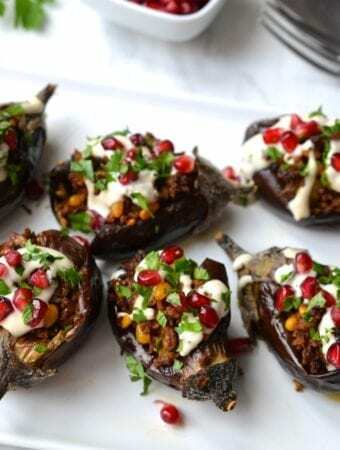 I used small eggplant because I thought they were quite cute and are perfect if you want to serve this as an appetizer or side dish. 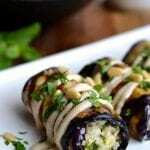 Alternatively you can also use larger eggplant instead and one fully stuffed would be great as a main course. 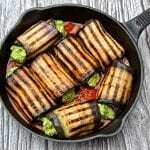 If you aren’t a fan of eggplant you can swap it for halved zucchini or peppers. 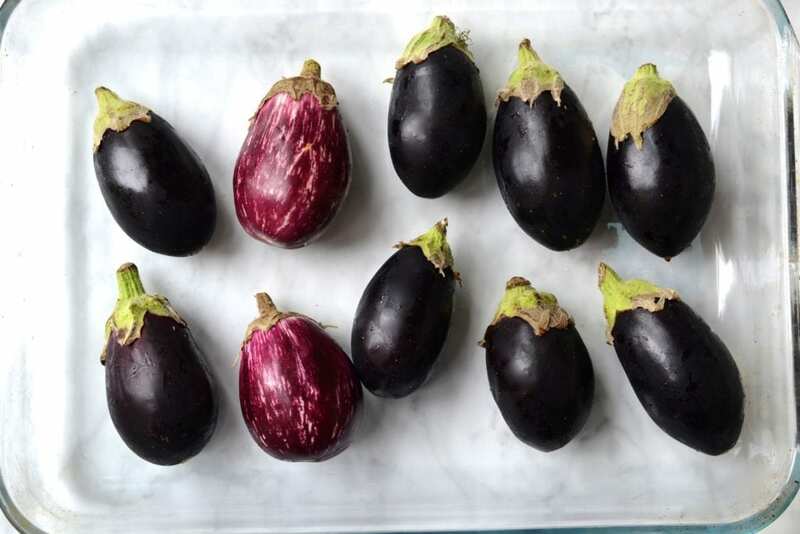 Three to four small eggplant are perfect for a light dinner, or you could serve one or two as an easy appetizer or side dish. 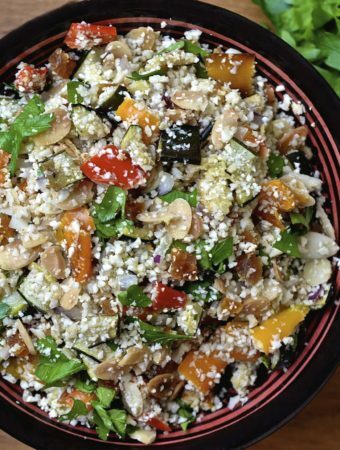 The creamy tahini sauce is incredibly easy to make and a great sauce to have in your fridge to serve as a dip for veggies or as a dressing on salad. 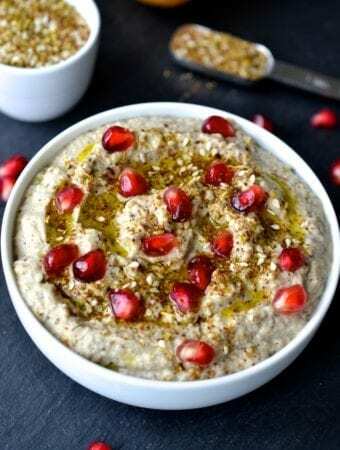 I love the mix of the creamy tahini sauce and tart pomegranate seeds with the rich ground meat, it’s an incredibly flavourful combination. 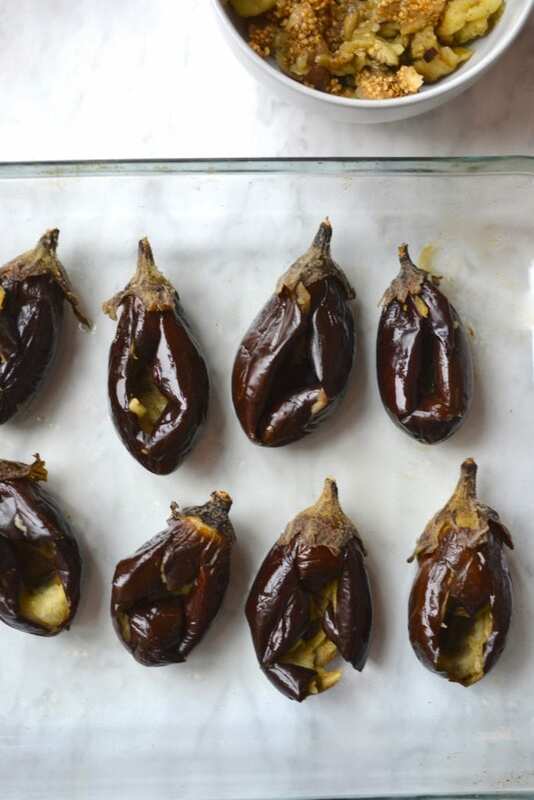 Cut a large X in the skin of each of the eggplant. 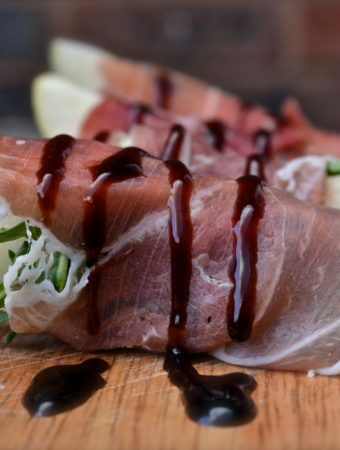 Toss then in 1 tbsp olive oil and place on a baking sheet. 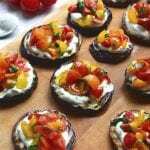 Bake them in the oven for approximately 20-25 minutes depending on the size, until the eggplant are soft and tender. 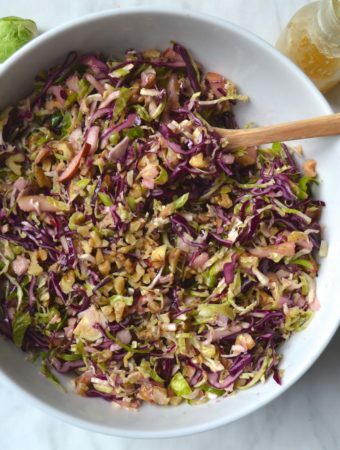 In a pan on medium heat, add the olive oil, diced onion and garlic and cook for 5 minutes until the onion has softened. 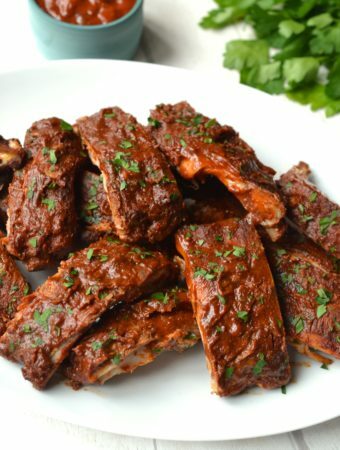 Add all of the remaining ingredients for the meat mixture and let cook for another 5 minutes so that the flavours combine. 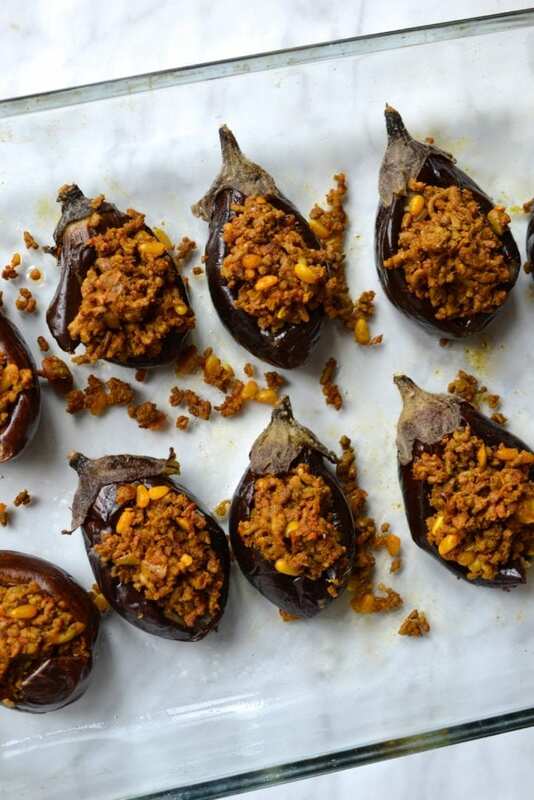 Once the eggplant are done cooking, remove them from the oven and allow to cool slightly so that they will be easier to handle. 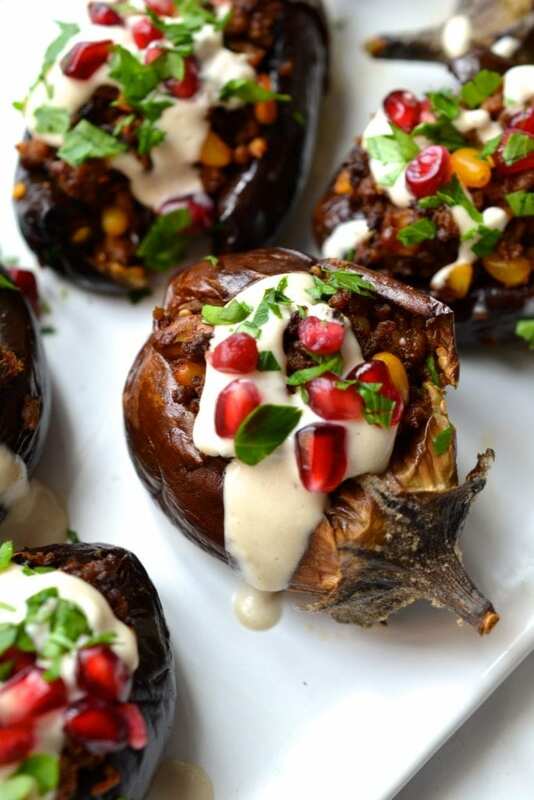 Use a spoon to scoop out the flesh from each of the eggplant. 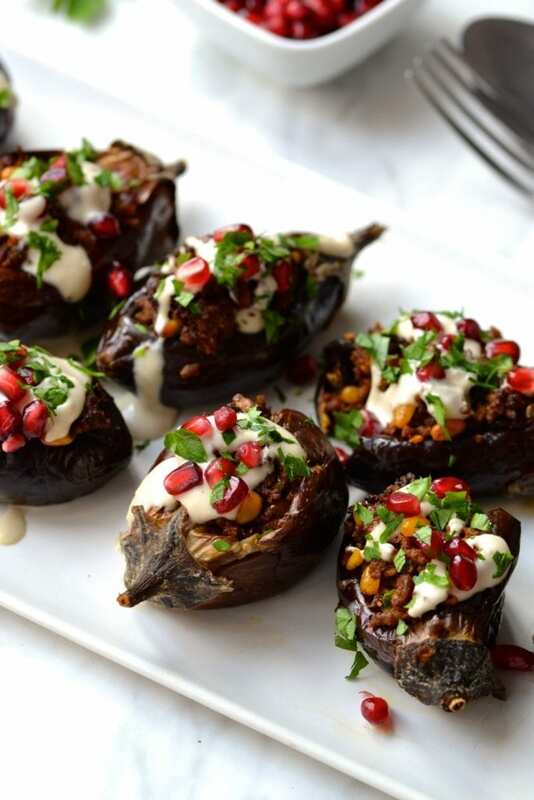 Fill each of the eggplant with the ground meat mixture, make sure that it is well packed in. 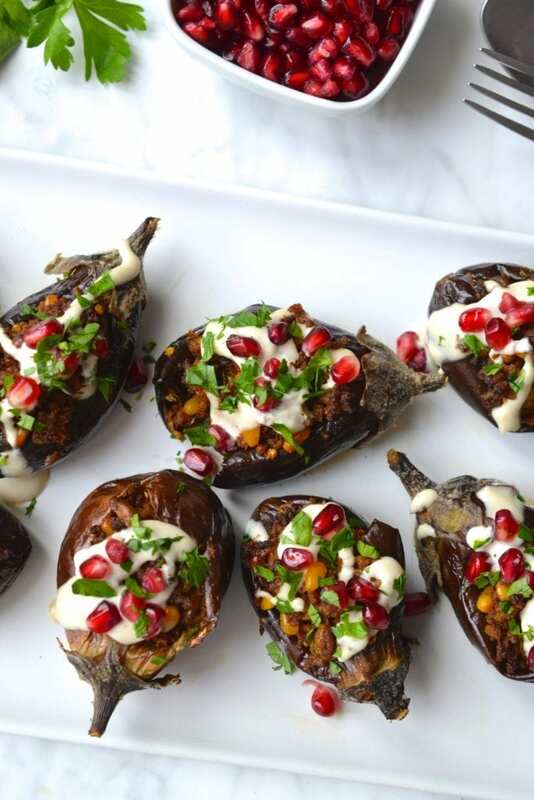 Once all of the eggplant are stuffed, return them to the oven to bake for another 5 minutes. 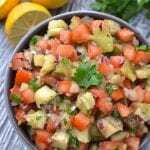 Meanwhile make the tahini sauce by whisking together the tahini, lemon juice, salt and water. 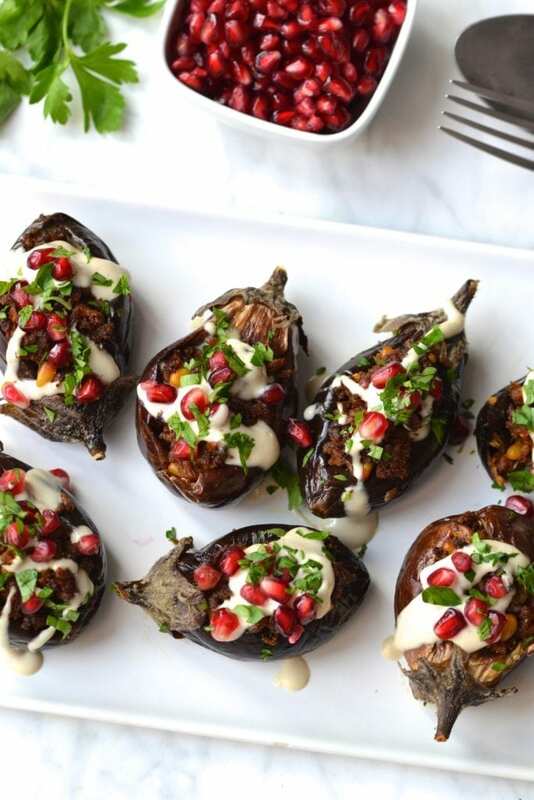 After 5 minutes, remove the eggplant from the oven, drizzle them with the tahini sauce and sprinkle with fresh parsley and pomegranate seeds. Serve warm. Please note. Your Instagram address reconnects to a spam account.